The Xiaomi Mi power banks are a popular affordable and good looking choice for mobile USB power banks, so much that they even get their own knockoffs with cheaper built and looking and worse performing variants from other Chinese companies. Here we have an earlier version of the Mi Power Bank 2 model number PLM10ZM that is a bit thicker than the latest version, but other than that should be very similar in performance and features like the newer thinner version that we are soon also reviewing here. 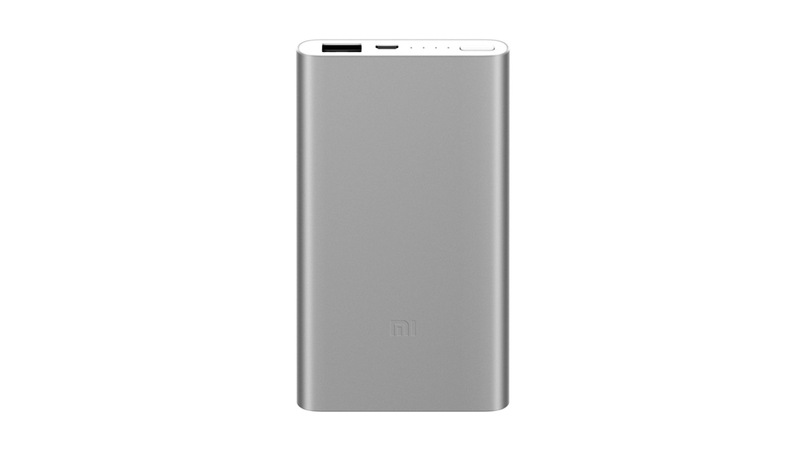 With this model Xiaomi has managed to provide you with a decent capacity of 5000 mAh in a slim and lightweight package with great looks and an attractive price. Slim yet sturdy aluminum case with a number of safety features built into the electronics as well as power check button with LED indicator lights and USB charging connector with 2A input for faster charging time and USB port with output current of maximum 2.1A. With the 5000 mAh Xiaomi Mi Power Bank 2 (PLM10ZM) we have performed our usual 1.0A and 2.0A constant current load tests and you can see the results on the discharge graph above. At 1.0A discharge load we get a stable output voltage of about 4.93V and a little over 3300 mAh usable capacity and this is quite good and confirms the minimum 3300 mAh actual output claimed by Xiaomi for this product. At the higher 2.0A constant current discharge however things do not look as good for this power bank, because not only the output voltage is lower, but it also fluctuates a lot as you can see between 4.5V and 4.68V resulting in significantly lower Wh output for the battery at higher load. Hopefully this has been addressed in the newer slimmer version of the power bank and this is something we are hoping to confirm soon as we kind of expected better performance at 2A loads.